At Parkland Chiropractic and Healing Center, we are passionate about providing the best chiropractic care to help you achieve your health goals and enjoy life. Take advantage of our chiropractic clinic to benefit from the latest techniques and methods used for a safer and more comfortable procedure. Our chiropractor Parkland FL will analyze your condition and provide the best possible chiropractic care for you. If you are suffering serious pain and emotional challenges after being involved in an accident, our chiropractor Parkland FL can help. We provide spinal manipulations among other forms of therapy to help treat the pain and injuries that result after being involved in an accident. Whether you’ve experienced severe neck strain, whiplash or a herniated disc after an accident and need help to restore your life, we’ll offer the best treatment option for you. We’ve helped multiple car accident victims through procedures like spinal manipulations that help to get rid of pain and muscle stiffness. Work with our chiropractor Parkland FL to restore your mobility and obtain the kind of therapy you need to get your life back on track. If you or a family member was involved in a car accident, get in touch with us for immediate care. Sciatica pain can be felt on the lower back and even extend to the thighs, legs, toes and feet. It’s caused by a pinched nerve, or conditions like degenerative disc, spinal stenosis or pregnancy. Having excess weight, lack of exercise and lifestyle choices can increase your risk of sciatica pain. As a chiropractor Parkland FL, we offer different forms of therapy such as ice/cold therapy for sciatica pain relief. We may perform different spinal manipulations to restore any misaligned vertebrae in the spine that is contributing to the pain. 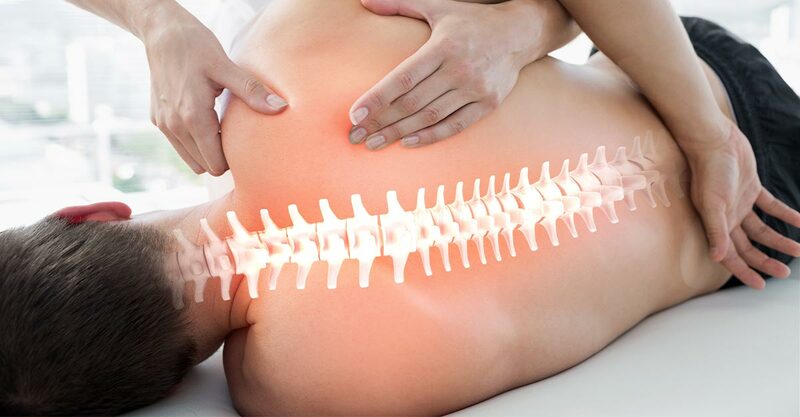 Our spinal manipulation techniques can help to relieve muscle tension that worsens sciatica pain. Peripheral neuropathy is a condition that develops due to damaged peripheral nerves. It causes tingling, numbness and pain in different areas of the body especially the hands and feet. If you have peripheral neuropathy, we can help you to ease the pain and improve your quality of life. This condition often affects individuals with conditions like diabetes and nutritional deficiencies. With regular chiropractic care, you can manage neuropathy in your day to day life. At Parkland Chiropractic, we have helped many patients dealing with nerve issues by providing nutritional guidance and different forms of therapy to ease pain and enjoy life. If you are suffering from painful conditions like acute back pain and neck pain, arthritis and bone fractures, visit an expert at Parkland Chiropractic for the appropriate laser therapy. Laser therapy is an effective and painless procedure that can be performed to ease certain conditions in just a couple of visits. Before we recommend any form of laser therapy, we will perform an evaluation to ensure that you’ll get the best treatment for your condition. Most of our patient will need a couple of visits in order to address their symptoms. Whether you are suffering from an acute or chronic condition, our laser therapy treatments are designed to help you cope with the symptoms and find a long-lasting solution to dealing with the pain. We recommend laser therapy because it helps to stimulate the cell recovery process and give you the best results. Our chiropractic center has qualified therapists to administer this kind of therapy. You’ve found the best chiropractic specialists to help you achieve your weight loss goals. Our techniques to help you get rid of the excess weight are safe, effective and offer long-lasting solutions. We will help you to finally get rid of the stubborn fat and keep it gone. Our chiropractor Parkland FL, also offers nutritional guidance to ensure you don’t regain the weight after losing it. We offer a holistic approach to weight loss. We’ll perform a thorough examination to ensure any weight loss treatment plan is ideal for your unique situation. Whether you need laser therapy or nutritional advice to maintain a healthy lifestyle, our weight loss experts will walk with you throughout every step. Do you experience pain due to a confined or squeezed nerve? Pinched nerve pain occurs due to conditions such as arthritis and herniated disc. As a chiropractor Parkland FL, we can help you to get rid of a pinched nerve pain whether you had it as a result of an injury or poor posture. We’ll analyze your unique situation and help you to alleviate the pain and heal the affected area. No need to rely on over the counter medication to handle pain and swelling. We can help you deal with the underlying problem and prevent the pinched nerve pain from getting worse overtime. Arrange an appointment with our chiropractor to correct the pinched nerve. Whether you have lower back pain, middle or upper back pain you’ll find a reliable chiropractor Parkland FL to determine the most effective course of treatment for your condition. We have a number of chiropractic care methods and techniques that work to relieve back pain. Our patients include people who have suffered from sciatica pain among other chronic back pain conditions. No need to rely on medication to ease back pain. We’ll perform a thorough assessment to ensure your condition is fully addressed once and for all. We know how back pain can hinder your day to day livelihood and prevent you from enjoying your life. Our team is passionate about helping you regain your life, be able to perform daily chores and go back to work. Whatever form of back pain you may be suffering from, Parkland Chiropractic is here to help. At Parkland Chiropractic, we are committed to helping you change your life for the better. We’ll offer just the right therapeutic treatments and diagnostics to boost your quality of life. We will gladly liaise with your medical doctor to help ensure you are getting the most comprehensive treatment available. From your teenage daughter to your mum, grandmother or anyone in between, we are passionate about taking care of your entire family. Get in touch with us today and we’ll help you any way we can.